Africa State of Mind, opening at Impressions Gallery, Bradford, presents work by a new generation of African artists and photographers working in diverse fields such as fashion, film, architecture and literature. Curator Ekow Eshun discusses the show and how the work addresses the complexities of what it means to live in Africa today. A: The show presents a new generation of photographers from across the African continent. Why did you choose these new artistic voices? EE: It’s always been important to do so. I was interested in artists who were coming to prominence after well-known names such as Malick Sidibé, Samuel Fosso and Seydou Keïta, whose work still looms large on the landscape. I’ve been fascinated by how strong the new talent is that comes from countries across the continent, and how it both builds on the legacy of African photography and is skeptical about the way that Africa has been photographed and documented in the West. A: The featured artists reveal Africa to be a psychological space as much as a physical territory. How do these images delve into inner landscapes? EE: So much of the documentation and coverage about Africa works on the level of reportage – for example through news images of war and famine. One of the things I find interesting about the work in Africa State of Mind is that it’s not necessarily preoccupied with the physical terrain – with the world as it is or as it seems to be. A lot of the artists explore not just what a place looks like but how it feels – where it takes you to inside your own head. They create and reimagine an Africa that’s based on their personal sensibilities and the cultural, emotional or psychological milieu of the locations. In many cases the photographs are of a version of Africa that’s unique to the individual. Emmanuelle Andrianjafy, Nothing’s in Vain. A: Let’s discuss the works in Zones of Freedom – how do they address the fluidity of gender, sexual identity and the legacy of history? EE: Laws still exist that prohibit homosexual activity in a number of different countries in Africa, which is regrettable and reprehensible. The show looks at how photographers explore what – on one level – might be described as transgressive. In reality, their work is gloriously “normal”, human and open. For example, in the work of Athi-Patra Ruga, it is a way to interrogate national identity. The more that the piece investigates personal questions of gender and identity, it becomes a framework through which to look at the politics of body. A: How is the city presented within the show? EE: We have looked at the city as what I’ve called a “hybrid city,” which exists as an interconnected series of human experiences and physical memories. An increasing number of African people live in urban location., There are mega-cities with populations over 12 million – and that’s going to double in a number of years. The photography that comes out of these locations looks at spaces of social contact and crowdedness. With the constant change of rebuilding and influx of people, capital and money, you also get areas where old hierarchies, traditions and statuses begin to collapse. The urban space becomes one of reworking. 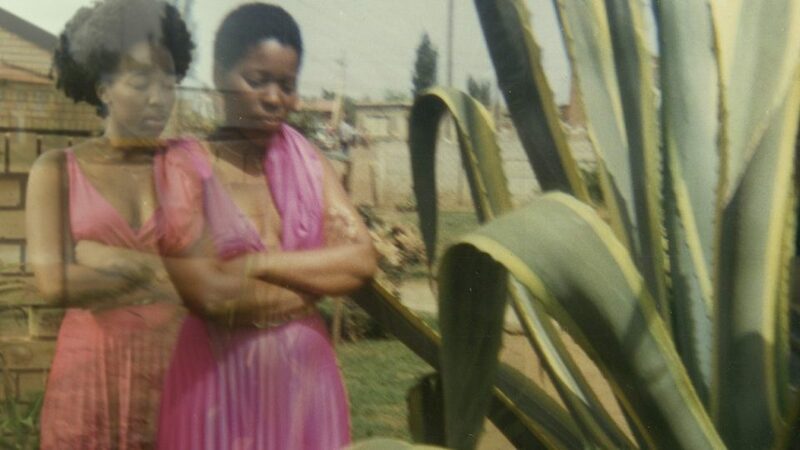 Lebohang Kganye, Ka 2-phisi yaka e pinky II, 2013. Courtesy AFRONOVA GALLERY. A: Can you give some examples? EE: You can see this physically in the photos of Michael Tsegaye and Sammy Baloji, and in Emmanuelle Andrianjafy’s photos in Senegal – which is a location filled with movement. 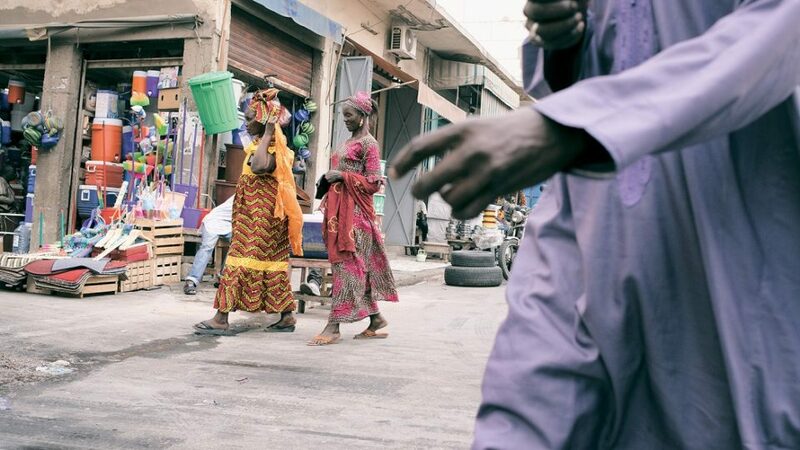 They look at how Senegal has its own logic, poetry and beauty. The city is not a fixed entity – it is as alive, provisional and changing as any other aspect of Africa. A: What makes photography such a powerful tool for communicating these messages? EE: For a long time, image-making defined international and Western ideas of what Africa was. Even going back as far as the mid-19th century – before people had the means to travel from Europe to Africa – there was an enormous trade in picture postcards, which defined much of the popular imagination in the west of what the continent was like. Invariably these images, and those of early news reels and textbooks, focused on Africa as a place of clichés. In that respect, the visual image has had a huge impact, and it’s not surprising that practitioners have chosen to take the self-definition of their countries into their own hands. They have chosen to move beyond documentary, asserting an artistic freedom. It’s not a binary, it’s about saying “Africa is whatever we want it to be” – a place of creative possibility. A: What are your personal highlights? EE: The artists do a fascinating job of creating works about empathy and depth, but also with a humorous or satirical edge, and a poetic sensibility. Time and again, I was struck by the beauty they could convey – sometimes out of complex political circumstances. The artists demonstrate an eye for resonant and exhilarating images; it’s been a rewarding project. The exhibition runs 29 March – 15 June. Find out more here. Lead image: Michael Tsegaye, Future Memories VI, 2009. Courtesy of the Artist & Addis Fine Art. Each issue of Aesthetica features works by rising stars in photography from around the world. The following images are a highlight of this year’s works. Big Ideas. Small World. Future Now continues today; topics include arts journalism, the importance of place, the creative city and talent development.